On Wednesday, March 27, 2:00-3:30 pm, the National Academy of Medicine and the CSIS Commission on Strengthening America’s Health Security hosted a conversation on the unfolding debate as to whether human germline genome editing should be permitted, the types of applications which might be appropriate, the standards and criteria that should be followed, and what regulatory or governance framework is needed. These findings appear to support what many researchers inside and outside China have suspected since scientist He Jiankui revealed the births in late November, sparking international condemnation for violating scientific guidelines against the use of gene-edited human embryos to start pregnancies. “I don’t think He Jiankui could have done it without the government encouragement to press ahead” with research they thought would merit a Nobel Prize, said Jing-Bao Nie, a bioethicist at the University of Otago in New Zealand. If the documents are correct, they would suggest China is supporting research that the U.S. and other countries consider unethical, and raise doubts about the preliminary conclusion of a government investigation that He acted mostly on his own. That inquiry, which was led by the Guangdong provincial health commission and involved the science ministry and the National Health Commission, determined that He raised funding for the experiment on his own without official endorsement. It also concluded that He forged an informed-consent form and violated scientific ethics and Chinese regulations, according to the official Xinhua News Agency. Thumb image via STAT – screen capture. The World Health Organization Thursday announced the formation of an international committee aimed at establishing uniform guidelines for editing human DNA in ways that can be passed down to future generations. The 18-member committee “will examine the scientific, ethical, social and legal challenges associated with human genome editing,” according to the WHO announcement. “The aim will be to advise and make recommendations on appropriate governance mechanisms for human genome editing,” the WHO says. Real progress is being made using CRISPR and related gene-editing techniques to alter cells taken from people with diseases such as sickle cell and genetic forms of blindness. These approaches are likely to offer safer and more reliable ways of making changes to a person at the genetic level. What makes these uses much less ethically challenging [than germline editing] is that they only affect the person being treated; the genetic modifications can’t be passed on to future generations. Jeffrey Kahn, PhD, MPH ’88, is the Andreas C. Dracopoulos Director of the Johns Hopkins Berman Institute of Bioethics. Gene experts speculate that our worst gene-editing fears won’t come true because they are too complex for us to pull them off. The world urgently needs better international oversight of “genome editing in human embryos for reproductive purposes,” says an editorial co-written by the heads of the Chinese Academy of Sciences (CAS) in Beijing, the U.S. National Academy of Sciences (NAS), and the U.S. National Academy of Medicine (NAM), which are both in Washington, D.C. The leaders of these powerful scientific societies joined voices after a genome-editing meeting in Hong Kong, China, 2 weeks ago made headlines around the world. 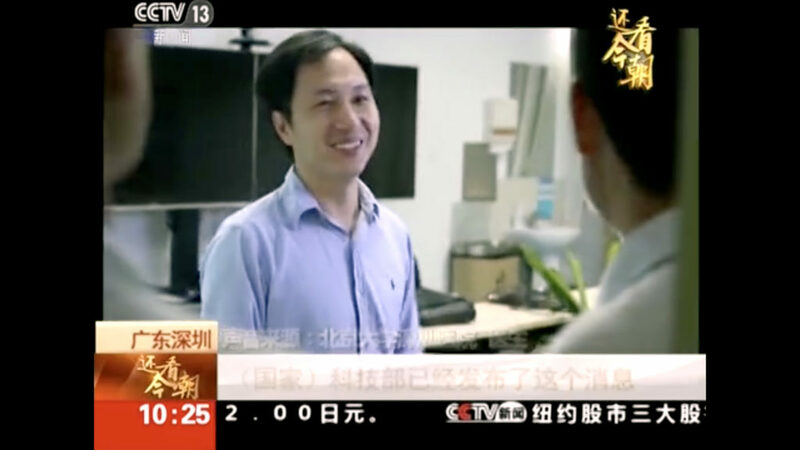 At the conference, He Jiankui of the South University of Science and Technology in Shenzhen, China, confirmed news reports that he used the genome editor CRISPR in an attempt to create HIV-resistant people, disabling genes in in vitro fertilization embryos that were then implanted and produced twin girls. The editorial “Wake Up Call from Hong Kong,” published in Science today, denounces the He experiment and calls for scientists and physicians to clarify what constitutes unacceptable genome-editing research.